Beyoncé (born September 4, 1981) is an American singer-songwriter, dancer, and actress. Performing in singing and dancing competitions as a child, she began her music career as a member of Girl's Tyme, which in 1993 was recast as Destiny's Child, one of the world's best-selling girl groups of all time in the 1990s. 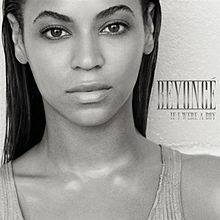 In 2003, she released her debut solo album. 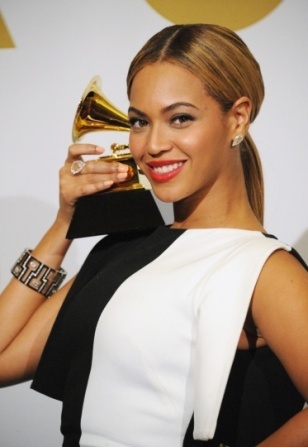 From 2001 to 2013, Beyoncé won 17 Grammy Awards, and sold over 13 million albums in the US, making her one of the best-selling music artists of all time. She was also included in Time magazine's list of the 100 most influential people in the world in 2013. Go through the following notes on vocabulary and culture found in the interview and familiarize yourself with their meanings. “Help a brother/sister out?” – a common phrase made popular by African Americans. Meaning “Can you help me?” but with a more friendly and familiar tone to it. Watch the video again to see how the words/phrases in bold are used and try to explain what they mean in these specific contexts. Pay attention to the interviewer’s and the interviewee’s intonation, body language and facial expressions to help you. 12. I said, “Oh! this is perfect. This is my first time directing a DVD, will you guys (Jay Z. and Kanye West) help me out? Help a sister out?” And they came through! "If I Were a Boy" laments the misunderstandings between the genders and indicts the male side of relationships. Listen to the song on http://www.youtube.com/watch?v=b7XW0KBUjP0 and explain what the words/phrases in bold mean in their respective contexts. A. Complete the sentences below with the words provided in the box.